How do you choose between Shopify and Magento? Hostinger’s Laura Ramonaitytė breaks down the differences between these popular ecommerce platforms. Taking your offline business online, or starting a new online business from scratch, can be overwhelming. However, if you take time to do research and choose the right ecommerce platform for your particular business, you’ll alleviate stress and have a much greater chance of success. With so many options in the market, it can be difficult to know that you’re making the right decision. Nevertheless, your first preference should be choosing a platform that can fulfil not just current but also future requirements of your online store, at least as much as you can estimate those future needs. To help you make this difficult decision, we’ve compared the two most popular ecommerce platforms: Shopify and Magento. We look at a number of different categories and performance areas, so make sure to read through the entire post to help you make the best decision for your business. Before starting the detailed comparison, let’s take a look at some core differences between Shopify and Magento. 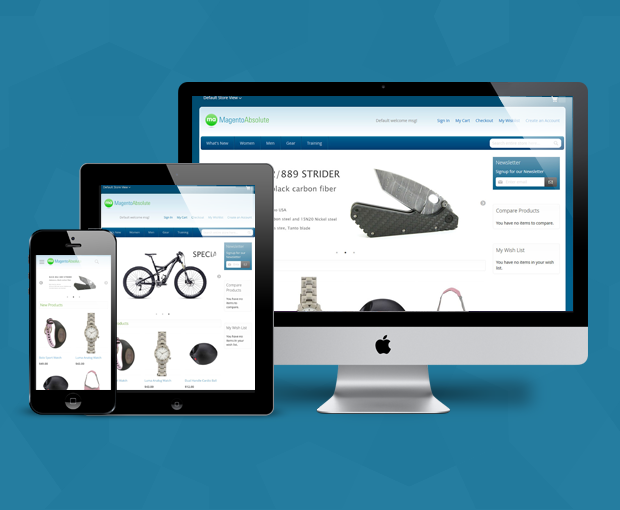 Shopify is a complete ecommerce platform, while Magento is free and open-source software. For Shopify, secure web hosting is included in all main subscription plans, whereas for Magento you need to set up your own hosting. Both platforms have technology ecosystems with apps and themes to help you customise your site and track online sales and marketing, but Shopify’s app store is much more robust and developed, with over 2,000 apps available since they opened to third-party developers in 2009! Let’s dive deeper into differences between the platforms. These platforms handle setup and operating costs differently. Shopify provides a 14-day free trial. After that, users need to purchase a monthly subscription (you can start the trial and then decide on a plan, which is a nice touch). Users can choose from 3 main subscription plans, currently ranging from $29-299 per month, plus lite (for basic selling via Facebook and ‘buy’ buttons) and enterprise (Shopify Plus) options. Shopify is a fully hosted platform, which means you pay a flat fee per month for a plan that includes hosting. It’s worth mentioning that credit card charges and transaction fees can be extra. On the other hand, Magento offers two pricing options: Magento CE and Magento EE. Magento CE (Community Edition) is free for download and use, and you are not required to buy any monthly subscription. It can be a perfect option for small and mid-sized businesses. Magento EE (Enterprise Edition) is another option, ideal for larger online stores and established businesses. The price depends on the size of your business. You can find the exact pricing by contacting Magento specialists and requesting a quote. To give some indication, a very basic Magento shop selling less than 6,000 products, that uses pre-made Magento themes, will cost you in the region of £20,000 to £40,000. On the other hand, if you have cheap web hosting, a Magento CE site using a free theme could be quite affordable, as long as you have the expertise to maintain it. Shopify has fixed pricing while the cost of Magento depends on different factors such as the costs of hosting plans, technical support and plugins. If you’re an experience ecommerce developer, Magento probably gives the best cost-benefit. Otherwise, Shopify is a better deal. Elegant templates and designs are a crucial part of any online store. The template which looks and feels good can attract more people and eventually earn more revenue. Shopify has it own theme store, where users can look for beautifully designed, highly-responsive templates and themes. However, since Shopify is a hosted shopping cart, users get limited options for customizations. That said, Shopify’s themes are awesome for plug-and-play. The themes are organized by industry, such as Furniture or Clothing, and also by type of store, such as themes optimised for stores with very small (or very large) inventories. Shopify themes generally cost over $100 but include useful features like Instagram product feeds. Since Magento is open source and has been supported by a large developer community from the start, it has a range of template options. There are free and paid themes available in the Magento Marketplace, and most are mobile responsive, but there is also a huge variety of free and paid themes available from independent front end developers around the world. It’s worth noting that some Magento stores with solid coding experience do create custom themes on their own as well. Here’s a guide to theme development if you’re running Magento 2. 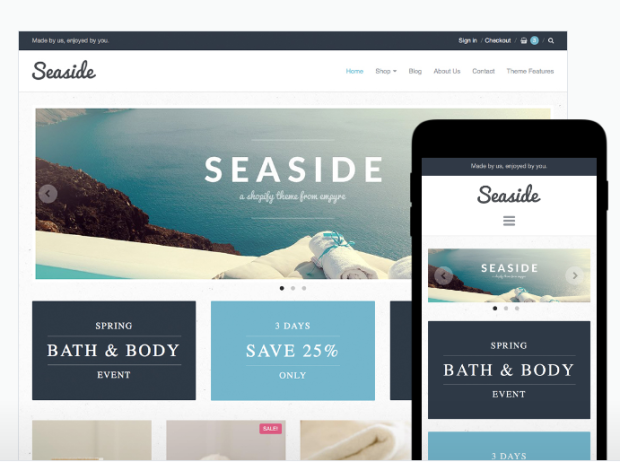 If you’re looking for more theme options and customization, Magento is the winner. On the other hand, why start from scratch? Whatever you’re looking for, it probably already exists in a Shopify theme! If you are starting your online store from the ground up, it is necessary for you to pick the ecommerce platform that has SEO capabilities as well. Nowadays, more than half of all online purchases begin with an online search in search engines like Google and Bing. Therefore, it is crucial that ecommerce platform you have chosen supports various search optimization techniques. In our analysis, the overall SEO score for Magento is 95 out of 100 whereas Shopify’s SEO score is 98 out of 100. Shopify is a highly SEO-optimized platform that has all the basic and advanced SEO features in all its plans. You can easily edit your title tags, meta description, page URLs, according to your requirement. Besides this, you can also customize your image file name and also edit alt tags as per SEO requirements. Like Shopify, Magento is also a fully SEO-optimized ecommerce platform that supports extensive SEO functionality. Along with basic SEO settings, it also provides some advanced SEO options, including canonical tags for separate categories and products, robot.txt files, image optimization, meta tags for products and home page. Both platforms seem equally competent in terms of SEO optimization. As long as you have an organized content strategy, you can take advantage of the SEO capabilities of either platform to get more traffic. Reliable support is more important than anything else. As a newbie, you may need to access customer support many times in a day. Consequently, invest in the company that has better technical support and back up based on what your needs might be. Magento’s customer support does not include any official service. However, you can look for answers to your queries in its extensive developer community, Magento Forums, and in their documentation. Almost all platform-related queries are already answered there. This is the category where Shopify is definitely the winner. For a detailed performance , check out this post on how Shopify and Magento perform for large ecommerce brands. In the post, Littledata’s CEO looks at data from 1,600 Shopify and Magento stores to see where the platforms typically perform best, from technical performance essentials like site speed, to ecommerce essentials like conversion rate and average order value. In conclusion, both Shopify and Magento have various stunning features and they can manage your online store efficiently and help to boost your revenue. Magento is an open source platform and is more flexible, but you need to have the staff and knowledge to develop it. Features, customer support and ease of use probably make Shopify a better ecommerce platform for a standard ecommerce business. Whichever you choose, I recommend getting Littledata’s Shopify connection, Shopify Plus connection or Magento connection earlier rather than later – otherwise you will likely be missing essential data about sales and marketing! I hope this post inspires you to dig deeper and make an informed choice before launching your online store, whichever platform you choose. There are other platforms available as well, such as WooCommerce (Shopify vs WooCommerce), so don’t just pick one randomly! Hostinger is a leading worldwide cheap web hosting provider.